Today we welcome Theresa Lynn Hall. Glad to have you, Theresa. Can you tell us when you realized you wanted to be an author? I think when I was in the sixth grade is when I started to realize how much fun writing is. I was an avid reader and would spend my summers visiting the library and reading suspense novels. By the time I was thirteen, I realized I wanted to write a book someday. The day finally came when I was a stay-at-home mom to my two sons. I’ve been writing ever since. Who are your favorite authors in your genre? Lisa Harris, Katy Lee, Marta Perry. Where did you get your inspiration for your characters? It’s hard to say where I get my inspiration from because it comes from many places. I think my characters are a mix of myself and a lot of people I know, or have come into contact with. I try to give my characters problems that most of us can relate to in some way or another. Which character was your favorite to write? My favorite character was Braden. For the most part, he has it all together. He’s strong, confident and knows what he wants. He has his hang-ups but he’s a rock in some pretty tough situations. Which was the hardest character to write? Lexi was the hardest to write. She’s been through a lot and realizes she’s on the verge of losing everything. She has to make some tough decisions if she wants to find happiness. As a native Texan, Theresa loves to write suspenseful stories that happen in small Texas towns with old fashioned Southern values. She’s an elementary teacher and mom to two boys—the oldest being in law enforcement, which comes in handy when she’s researching. 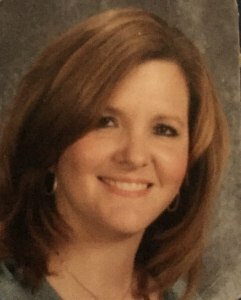 When she’s not teaching kids or writing, she loves to cook, read a good suspense, and binge-watch episodes of Dateline. She is a member of RWA (Romance Writers of America) and ACFW (American Christian Fiction Writers). She actively promotes fellow Christian Fiction authors on her blog. She also loves to hear from readers who enjoy Christian Fiction and can be found at www.theresalynnhall.com and @theresalynnhall. I will post an excerpt from this book tomorrow. 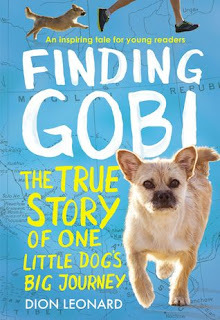 My thoughts: (Review by Jenna) FINDING GOBI is a seriously good book. I have no idea when the last time I sat down and read an entire book in one day. The story about Gobi and how she attached herself to Dion is amazing. At first, he didn't like her all that much then she started to grow on him and by the end of the race he started to make preparations to take her home to Scotland. And from China that is like a LOT of red tape. While they were trying to prepare to cut through all that red tape, she ran off. When the book got to this place, I started to worry that the family she was staying with in China was abusive because she had to have a hip replacement and had a scar on her forehead and when he first found her she was wary of people coming to the door. Especially certain people who caused her to bark and go crazy. Mainly the people she was staying with. Like she was afraid of them. She allowed Dion's best friend to come, she liked him. I really enjoyed this story and I hated to put it down. I will definitely read it again. I really like that it was a real story. It is also available in a children's book for 'read to me' children or a book for adults with more detail. You won't want to miss this one. Great read! I was provide a free copy. All opinions are my own. Ellie Gustafson began thinking up stories at a young age but did not begin writing and publishing until 1978. A graduate of Wheaton College in Illinois, she has been actively involved in church life as a minister’s wife, teacher, musician, writer, and encourager. Additional experiences include gardening, house construction, tree farming, mouse control, and parenting—all of which have helped bring color and humor to her fiction. One of her major writing goals has been to make scriptural principles understandable and relevant for today’s readers through the undeniable power of story. The Stones: A Novel of the Life of King David grew out of her fascination with the biblical story of David. 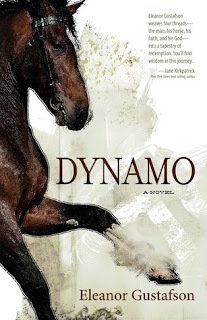 Dynamo builds off her lifelong love of horses. Gabby St. Claire Thomas has been given the opportunity of a lifetime: heading up a privately funded Cold Case Squad and handpicking the team members. Persnickety Evie Manson and nerdy Sherman Gilbert join forces with Gabby to bring justice and solace to families who still want answers. On their first case, the Squad discovers that the murders of Ron and Margie Simmons are more than cold—they’re frozen solid. The couple’s anniversary celebration ended as a double homicide, and ten years later their daughter still longs for answers. But who would kill the loving couple? What kind of secrets hid beneath their cheery, All-American exteriors? With every new lead, someone tries to sabotage their investigation . . . but the team might just end up being their own worst enemies. As a deadline presses in, can Gabby and her Squad bring the heat? Or will this cold-case killer make a clean getaway? My thoughts: CLEAN GETAWAY is book 13 in Ms. Barritt's popular Squeaky Clean Mysteries, but book 1 in the Cold Case Squad part of it.. Needless to say that except for Gabby's husband and circle of friends and coworkers this book stands alone. Written in first person, the reader is in Gabby's head and knows all her thoughts and suspicions. This can be good as the attacks toward Gabby and her coworker Evie start almost immediately. It definitely keeps the reader reading. I did guess part of who-dun-it right away when the person was introduced in the story, but only because I know the genre and the formula. I did have to keep reading to find out why, and then of course, I discovered much more to the case than I initially thought. Ms. Barritt is a master at keeping the reader guessing and with her wacky sense of humor, this book is read with a smile and many chuckles. If you like cozy mysteries, then don't miss CLEAN GETAWAY by Christy Barritt. You'll stay up all night reading this page turner. My thoughts: TANGLED WEBS is the third book in Ms. Hannon's Men of Valor series, but it easily stands alone. Fans will want to read Thin Ice and Buried Secrets so they don't miss a minute of the suspenseful series. 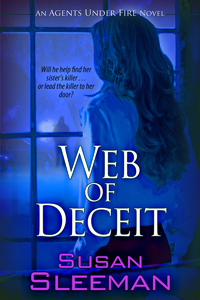 TANGLED WEBS is different than the usual run-of-the-mill suspense formula in that you knew who-dun-it and you know why, but you don't know how it will all play out. I had to keep reading to see if Finn and Dana would put the pieces together and solve it and how. 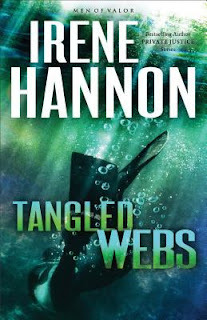 If you haven't read TANGLED WEBS grab your copy now. Will he help find her sister's killer . . . or lead the killer to her door? When Fbi Agent Kaitlyn Knight discovers her brother-in-law is Vyper-the notorious cyber-criminal and murderer wanted by the Fbi-Kait doesn't question her duty to arrest him. But when he murders her sister in front of her, leaving her infant niece motherless, Kait vows to hunt him down and bring him to justice while raising the baby. mentions of passion, or desire, or longing, there is no acting on it. and Sam to find the man before someone else died. and several instances of drinking alcoholic beverages. Join the chase as an unlikely foursome, threatened by a ruthless gang of ne'er-do-wells, strives to reach safety. Montana ranchers Zephaniah Parker and Charlotte Spence are determined to get two Amish children, who witnessed their family's massacre, back home to relatives in Pennsylvania. Will they succumb to the plans of blood-thirsty outlaws or reach Bird-in-Hand alive? Along the treacherous trek, Charlotte and Zephaniah's friendship blossoms into love. Will wedding bells soon chime, or will Charlotte's startling admission forever silence potential peals? How will God redeem outlaws and law-abiding citizens in this epic Old West adventure? On January 5, 1965, at 10:18 p.m. I gave birth to a beautiful baby boy, weighing 8 pounds, 10 ounces. I was told when the baby was born that I would not see him or be able to hold him, and that he would be taken to his awaiting adoptive parents. I also knew that adoptive parents often did not tell their adopted child that they were adopted, so chances were that he would never know about me. The morning after he was born, a nurse who did not know my baby was being adopted brought him to me and laid him in my arms. Another nurse came in right away and apologized for the mistake, and took him away. To this day, I am grateful for that moment. I was able to look into his face and tell him I was doing this because I loved him and wanted him to have a life that a two-parent family could give him. The image of his perfect little face is imbedded in my memory. To date, I do not know anything about him or if he knows he was adopted. I continue to pray for him! As I left the hospital with my mom, depression and sadness set in. I struggled with the meaning of life and what to do next. I did not want to go to church. Facing people there would be much too hard. Besides, all that had happened in my life did not reveal to me that God was loving or compassionate. And, I was sure He did not care about me. I spent my days crying a lot. I had six weeks from the day of my baby’s birth to change my mind about adoption, which I did consider. Dad said there was no way he would support me and the baby. Since I had no idea what I would do or how to support myself with a baby I decided that signing the adoption papers was best for all involved. Even though he may never read this, the following poem written for my son has brought me a lot of comfort. I’ve carried you beneath my heart, and now must let you go. That you will not remember this, or me, as I do you. Yet this I do, that you may never want for anything; not even distant echoes of my weeping as we part; The name I name you, or the thunder of my breaking heart. In book 3 of the Emma Raber’s Daughter series, Amish fiction author Jerry Eicher brings the faith-filled journey of Katie Raber to its happy conclusion. Katie Raber is trying to put her life back together after Ben Stoll's devastating betrayal of her love. When she is baptized into the church, she receives a surprising offer that will keep her close to her Amish community―much to her mother’s delight. But soon Ben is back in her life again―and at the same time she finds interest from another young man, though his bumbling efforts at winning her heart show him to be a far less desirable suitor than the more polished Ben Stoll. Readers who have followed the saga of Katie and her attempts to escape the stigma of being just “Emma Raber’s daughter” will be charmed by her new look at life as a young woman with important decisions to make. 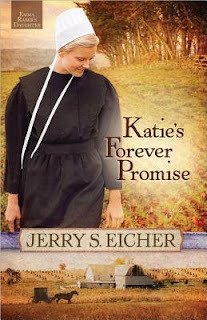 My thoughts: KATIE'S FOREVER PROMISE is the third book in Mr. Eicher's series, and this is my favorite of all of Mr. Eicher's books I've read to date. I couldn't help but fall in love with Katie and her mamm Emma and all the struggles Katie goes through is so realistic. Oh, and Ben. My heart broke in book two when he was arrested while Katie was in Switzerland (and what a dream trip that was!) and I was so sad he was out of the series. I was beyond happy when Ben makes an appearance in this book even though Katie had joined the Amish church and moved on. Fans of Amish fiction will want to read this series in order, starting with Katie Opens Her Heart, Katie's Journey to Love, and Katie's Forever Promise. Mr. Eicher writes about the Amish with knowledge that is readily apparent, even though fans need to remember that not all Amish districts are the same and there are differences. Don't miss KATIE'S FOREVER PROMISE or either of the first two books in this series. I got a copy of this book free and all opinions are my own. My thoughts: NAOMI'S HOPE is third and final book in Ms. Drexler's Journey to Pleasant Prairie series. This historical Amish series does not stand alone and readers will want to read them in order, starting with Hannah's Choice and Mattie's Pledge. Naomi's Hope is a nice finale to the collection. The story was slow paced, but as a reader I cared about Cap and admired how he had Davey's best interests in mind. Shem made for an ideal villain, one that the reader loves to hate. I was kind of glad the story ended the way it did and not how it could've ended. There is some real life information included in the story, and I'd someday like to read Hans story. And hope that Crows Fly lives on. 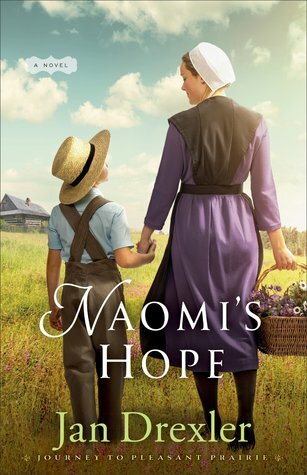 Fans of Amish historical fiction will want to read NAOMI'S HOPE and the first two books in the series. Ms. Drexler is a wonderful historical writer and develops realistic characters that resonate with readers. I received a copy of this book free. All opinions are my own. 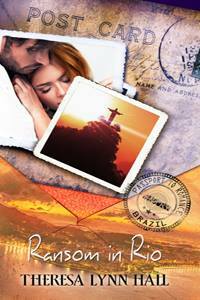 Guest Post from Rachel L. Miller and #Giveaway!!! Book spotlight: In 27 Days + #Giveaway!! !